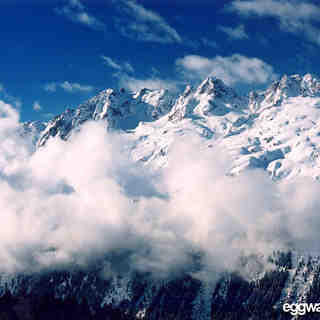 Argentière, sometimes seen as the little brother to Chamonix, is a complete resort in it's own right. Certainly the quieter of the 2 it offers quicker access to the best slopes. 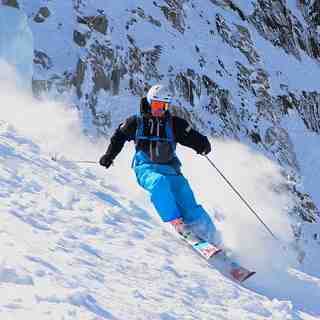 The Grands Montets is the must do area for advanced and higher intermediate snow sports enthusiasts everywhere in the world. There are some blue runs snow here which expand the options for the bulk of holiday makers when you need high up north facing runs for good snow but perfect slopes are found nearby with access by the convenient busses. 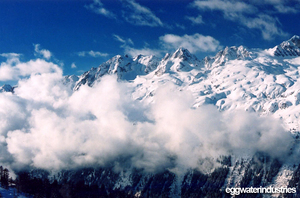 Staying in Argentière also means travelling in the opposite direction to the crowds coming out from or returning to Chamonix. From the village it is 4km up or down the valley to access either Le Tour or Flégère. Le Tour has predominately west and north facing runs of cruisey blues and flattering reds. Flégère's south east facing hillside offers everything from family friendly greens to steep blacks and sustained moguls plus a link to Brevant. Nightlife is catered for with bars, each with it's own character. From Aussie pub, young and lively to the wee hours, live music venue and après party spot. There are enough restaurants to eat out every night for a 2 week holiday, including the best Tex Mex in the valley, whacky fondue joints in the forest and fine dining. Good pub grub, pizza, local specialities and French bistros round out the eating mix. The base is in place for the early winter. Pre opening weekend was a smash hit. Terrific snow and no crowds. Massive investments in the lift system have been announced. E477 million minimum announced. Many new lifts, improved nursery slopes low down and at altitude. Modern lifts to update the valley access. 6-10 new or replaced lifts in 10 years. Winter lift opening will start 7th December. Very sad to say one of my favorite places to ski has become a bit of a joke. At the moment the lift to the top of Grand Montets is shut for at least 2 years but probably 3, Bochard lift is shut now for the second week running and the information flow to skiers is awful. A great shame that a wonderful area is being ruined by real mismanagement.